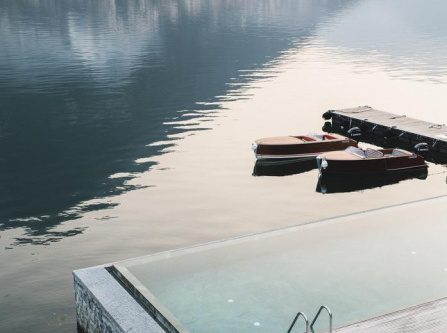 The hotel features indoor and outdoor heated salt-water pools, 25-metres homologated training heated pool, Roccolino whirlpool, warm water and La Luna nel Lago salt-water lake 37°C – 10% Salinity. 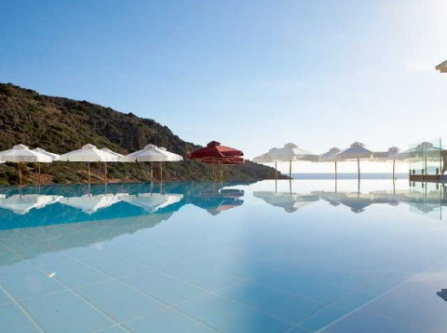 Residents of this 5 star beach resort in Crete Island will have the opportunity to swim in the hotel’s sea water infinity pool. 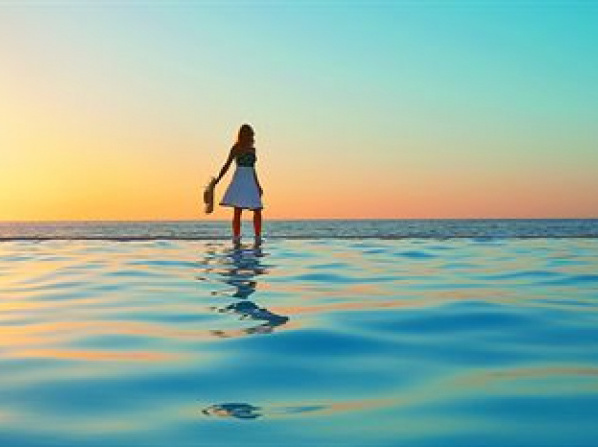 Have you ever felt what letting go of time and space feels like? 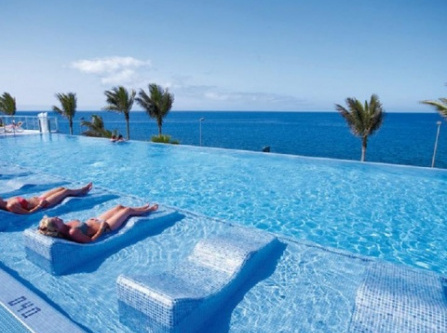 If you want to get a glimpse of infinity and completely plug out during your holidays, you want to make sure that your hotel features an infinity pool. 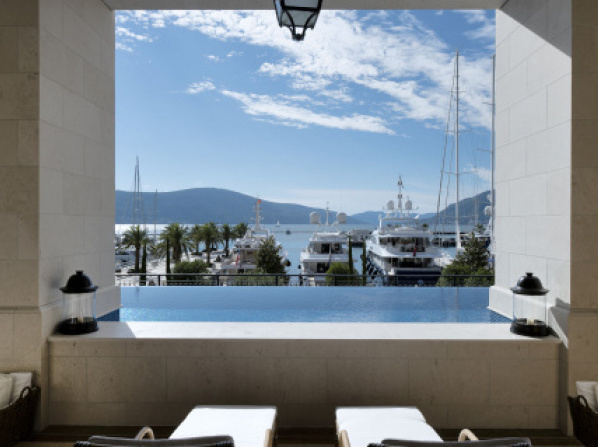 Once hyper-modern and rare to find, they have now become a standard feature of many sea and mountain-side hotels and resorts. 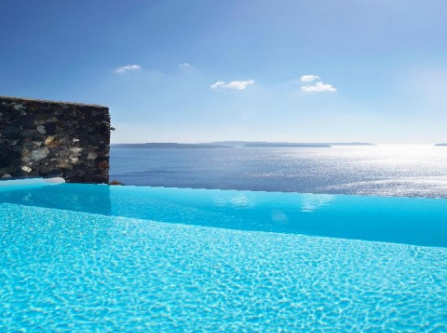 If you have ever had the chance to swim in one, you sure don’t want to miss out at your next holiday destination. 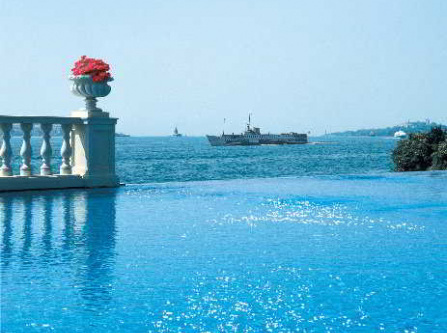 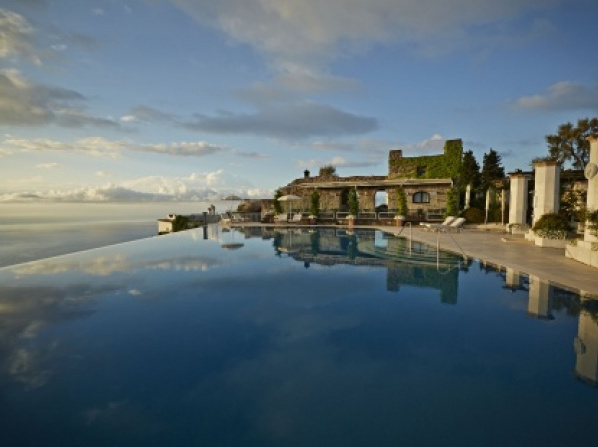 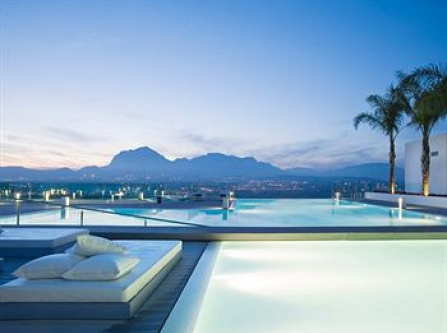 Europe offers some of the most stunning and award-winning infinity pools with breathtaking views. 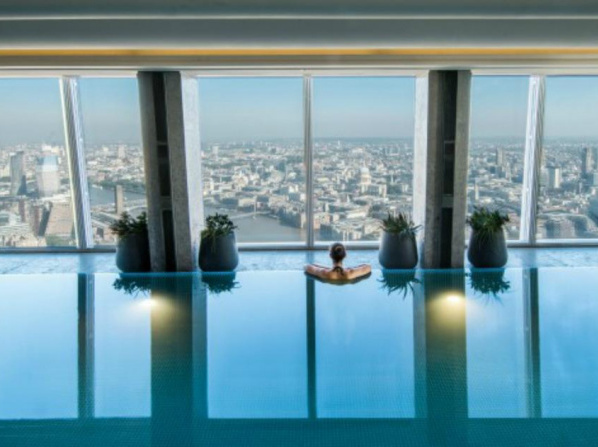 Whether you are up for a mountain and ski holiday in the Alps, a beachfront time-out at the Mediterranean, or a romantic Paris city-break, infinity pools let you dive deep into Europe’s unique cities and landscapes and experience them from a whole new perspective. 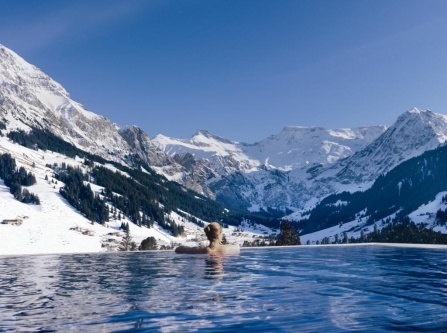 Most infinity pools are heated all year-round, allowing travellers to enjoy the floating experience even at a snowy mountain cottage. 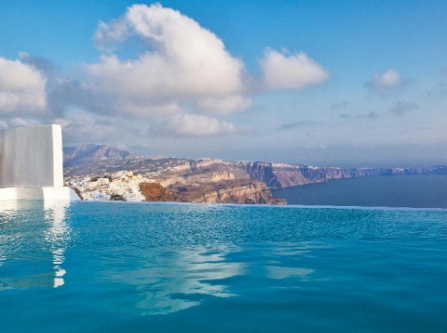 Some of the most famous infinity pools in Europe can be found on Santorini island, Greece. 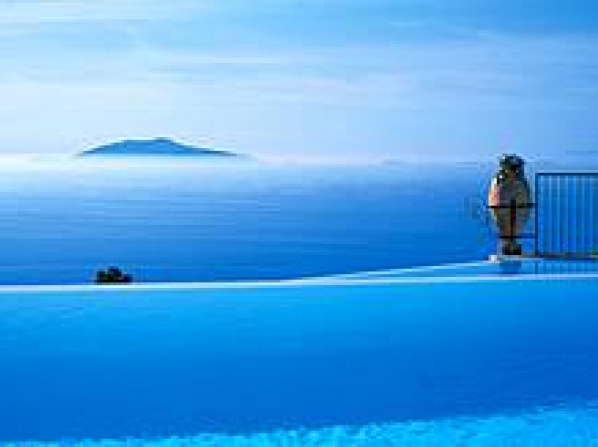 The volcano island boasts a unique landscape that has developed during the volcano’s eruptions thousands of years ago. 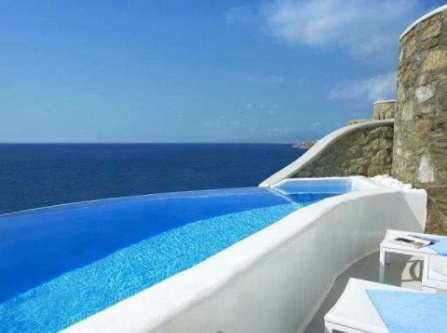 The result has become famous all around the world: the sharp Santorini coastline cliff, called Caldera. 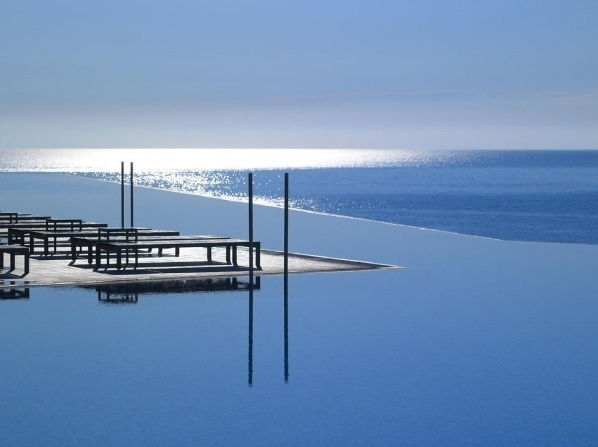 Some of Europe’s most luxurious boutique hotels are located right here and boast astonishing infinity pools that become one with the Aegean Sea. 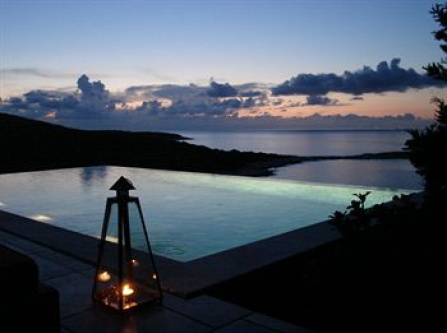 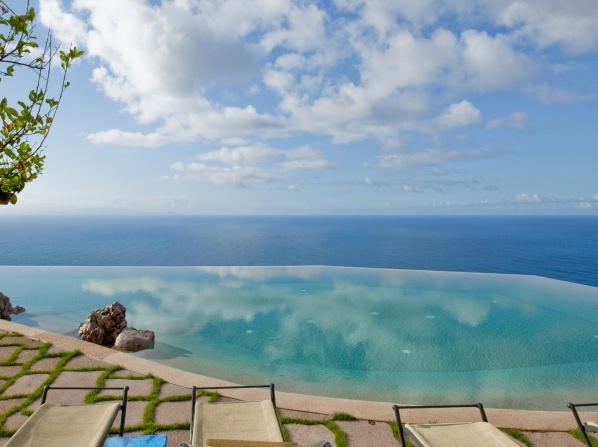 Many hotels feature even private infinity pools for each room and suite, to make your plunge a truly sacred experience. 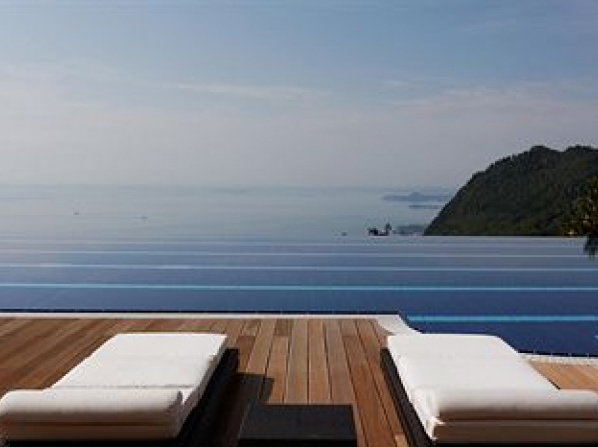 Mostly, infinity pools don’t come alone and are part of hotels’ and resorts’ wellness and spa areas, especially in larger holiday properties. 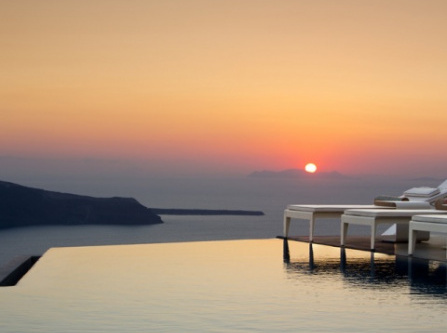 Combine all of your desires in your search and explore the infinite options Travelmyth offers you to find the perfect holiday destination and hotel.